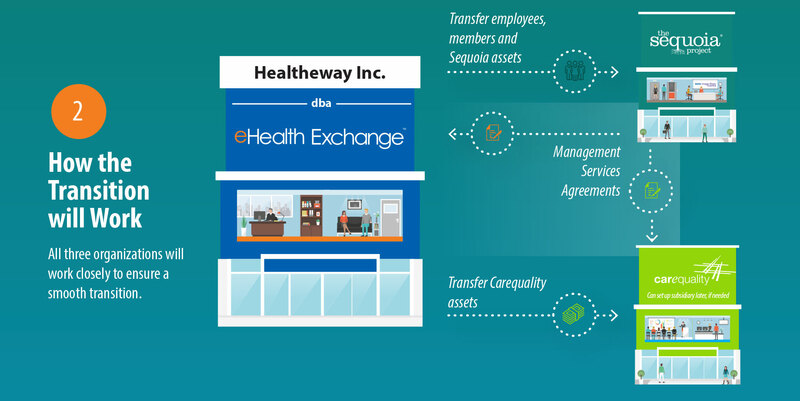 As of October 9, 2018, The Sequoia Project, Carequality and eHealth Exchange officially became three independent organizations. All three organizations will work closely to ensure a smooth transition. 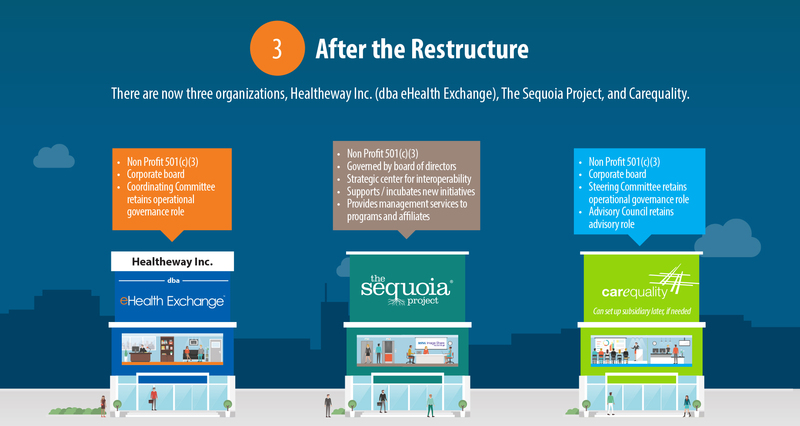 To help explain the restructure, we’ve created the infographic below.